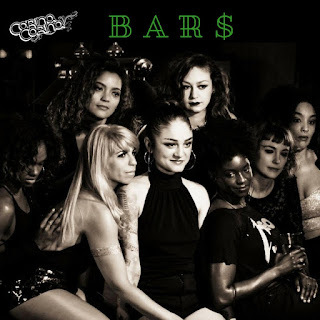 CORINA CORINA RELEASES NEW VIDEO FOR "BAR$"
Oakland bred, Brooklyn-based, R&B/ alt soul/pop artist, Corina Corina, has shared her new video,of the track titled "BAR$," the opening track of her third full-length album, "Hangover Music", co-producer by Backwoodz Studioz's Willie Green. PRIDE states, "The "BAR$" video also uses Metropolitan Bar, one of the oldest gay bars in Brooklyn, as an integral setting, because representing the queer community has always been important to the out-and-proud vocalist." The upcoming album is a conceptual project written about all the aspects of her lifelong relationship with alcohol, in conjunction with themes of empowerment, loneliness, regret and love. A seasoned vet in the nightlife industry, Corina Corina has had a love/hate relationship with her "day job" for years. "BAR$" adopts a more empowered view point from previous releases, as the protagonist is exhausted and jaded but not at all a victim; she knows exactly what she’s doing, she’s a hustler and knows how to play the game. In fact, every single dollar she put into the creation of "Hangover Music" came from bar money. Check out the video as it premiered on PRIDE.COM right HERE.